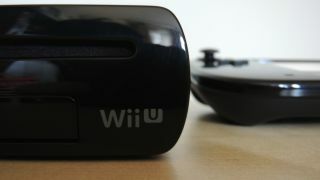 The Wii U is now two years old, which means Nintendo has undoubtedly begun looking to its next big console. And some new proof suggests that the wheels are very much in motion. A new job posting calls out for a "lead graphics architect in the system-on-chip architecture group" who will work with the group responsible for Nintendo's consoles. Note that it says consoles, not portables. What's most interesting of all is the fact that this role is being advertised for the US instead of Japan, which suggests that Nintendo may be hoping to bring in its own Mark Cerny (lead architect on the PS4). The Wii U isn't exactly flying off shelves, and unless Super Smash Bros brings a drastic change in fortunes, we doubt we'll see things get much better for the console. That said, it'll probably be some time before we see Nintendo announce a new console. Chiefly because it won't want to betray the customers who did buy a Wii U, but also because these job advertisements make it sound like the next project is still in the very early stages. Rumours surfaced earlier in the year that Nintendo was set to reveal a new console named 'Fusion', which the company flat-out denied. But no harm in starting speculation as to what the next Nintendo home console will be called. The Wii You? The Lu-Wii-Gi? The Super Nintendo Chalmers?